Are you a Consumer in need of Protection? 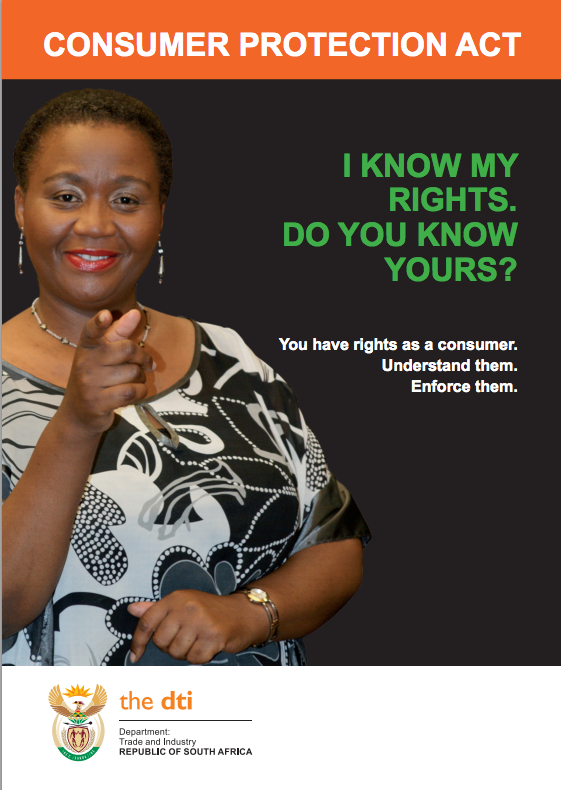 Home/Focus Areas/Consumer Protection Act (CPA) and the law in South Africa/Are you a Consumer in need of Protection? Are you a consumer in need of protection? Have you bought something (like a car or a laptop) that has not turned out to be what you thought? Is it not what you wanted? You probably feel frustrated and that you have been ripped off. If you are a supplier of goods or services and a consumer has complained to you, we can provide you with practical legal solutions related to consumer protection. want to return underwear, you can’t. Do you feel that you are a consumer in need of protection? We are unfortunately not able to consult with you personally and provide a cost effective solution. We do want to help you, so these are the steps you can take, without consulting us. The Department of Trade and Industry has drafted a guide to help consumers. Please click here to download and read it. First, try to sort out the issue with the company concerned. This is always the best route. Talking to people is usually the best way to resolve any dispute. Taking legal action seldom solves the problem. Visit the Consumer Goods and Services Ombud website and lodge an online complaint. Phone the dti Customer Contact Centre on 0861 843 384. Phone the Office of the Consumer Protector (OCP) on (012) 394 1436 / 1558 / 1076. Report the customer service to Hellopeter. If your complaint relates to a credit provider, lodge a complaint with the NCR. If someone has infringed your privacy, complain here. Visit the National Consumer Forum website and find out where you can complain. We wish you every success in resolving your dispute.